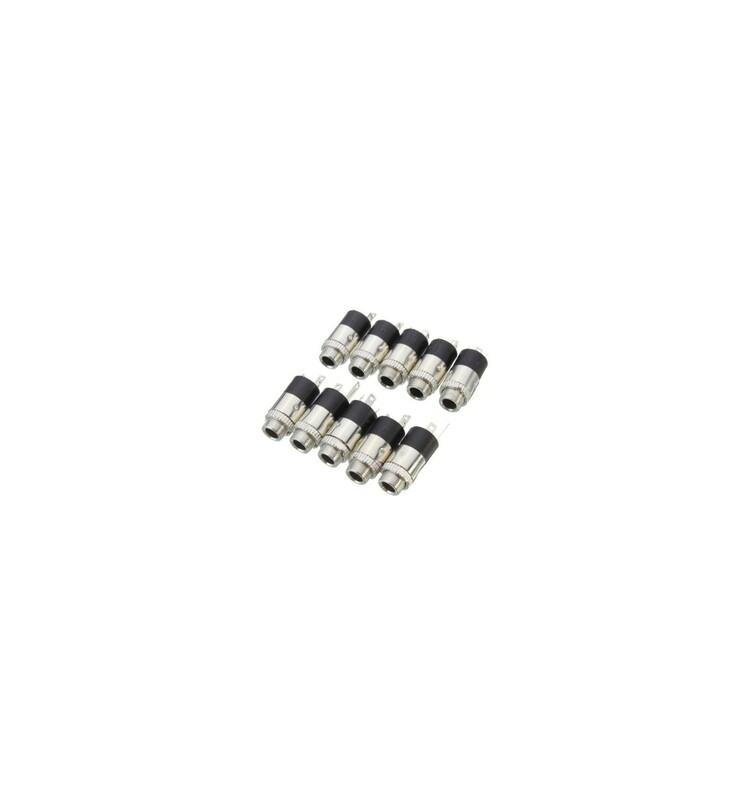 These single 3.5mm Audio Jack Connectors can be integrated into electronics for a 3.5mm audio/video connection – Rated for 30V DC at 0.5A. If you are looking to add audio or video to your electronics project, or if you need to replace a broken or faulty connection, these 3.5mm Audio Jack Connectors are exactly what you’ve been looking for. 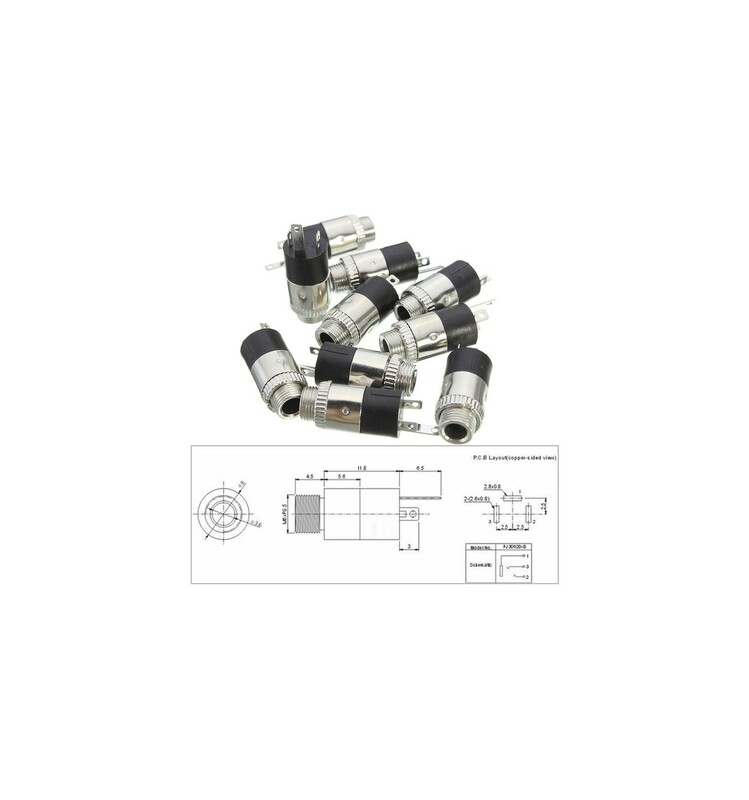 These connectors are sold as single units and are ideal for audio/video applications, although they can also be used for remote controls, household appliances, security monitors and videophones, as well as a range of other applications. However, their primary use is for audio/video connections, as they provide a firm and strong connection for delivering large amounts of electrical data as high speed. 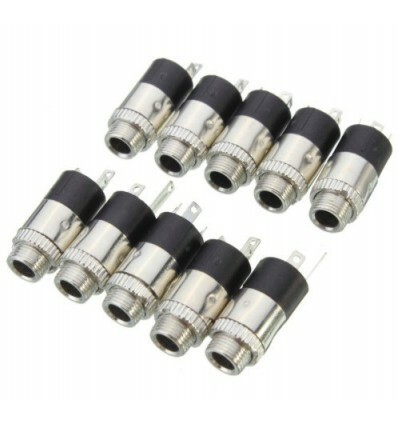 These single PJ-382 jacks are made to fit standard 3.5mm male connectors, which natively fit most audio cables. So, whether you are looking for a replacement audio jack or socket, are building your own musical instrument, or simply want to add audio to an electronics project you’re busy working on, these connector units are what you need. Note: These are sold as single units. These 3.5mm Audio Jack Connectors are designed for audio/video applications, but can be used for a range of other projects as well. These include electronic toys, fitness equipment, medical equipment, telephones, building equipment, and many more different uses. However, the primary design is intended for audio/video components, as the strong connection is ideal for transferring large amounts of data or electronic signals at a high speed.